There is nothing that will attract attention to your business quite like a full-color display. 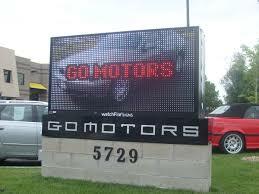 With a full-color outdoor LED display, you can catch the eye of those driving and walking by your shop. You can also use full-color LED signs to advertise deals, show short video clips, and transit messages to potential customers. By using prominent, attractive full-color signs, you can show people that you are serious about connecting with them, and you can provide them with information that they wouldn’t otherwise be able to get. Already have a sign and need repairs? We can help with maintenance and repair services, too. Call 866-740-9797 or email phil@greenfieldsigns.com today and see how we can help your business.